by giving the gift of an exceptional dining experience with a Ray's Gift Certificate or Gift Card.  Ray’s Gift Certificates and Gift Cards are perfect for thank you gifts, staff rewards, gifts for friends & family, client appreciation or yourself! Ray’s E-certificates and Gift Cards are perfect for thank you gifts, staff rewards, gifts for friends & family, client appreciation or yourself!  E-certificates are only available, for purchase, online, and can be used at Ray's at Killer Creek, Ray's on the River and Ray's in the City!  Gift cards can be purchased at any of our restaurants or online by clicking the link below, and are good for use at all 3 Ray's locations. Online Gift Card purchases will include a $3.95 mailing fee to your order. Send the gift of food and fun by email with an E-certificate! Click on the "Purchase a Gift Card or E-certificate" link below, then click on "Purchase Gift Card." You will then have your choice to purchase a plastic Gift Card or an eGift Card! For your card balance, please click "Check Your Balance" below and be sure to include your Pin #, which you will need to scratch off on the bottom left of your card. *Please note that we are only able to mail gift cards to the credit card billing address. If you wish to mail a gift card to a separate address, other than the billing address, you may purchase an e-certificate. E-certificates are valid at all 3 Ray's locations. E-Certificates are only available online. If you have questions or issues regarding E-Certificates purchased through Open Table, and have an 8 digit certificate number, please email gifts@opentable.com or contact Customer Support at 1-888-503-7558. For E-certificates with a 14 digit number, please send your card number, ePin number and questions to rayscards@raysrestaurants.com.